That is the amount of miles I have run since July and the amount of money my runathon has raised so far for my colorectal cancer non-profit charity of choice, The Colon Club! I have reached the halfway point of the fundraiser & I wanted to thank everyone who has contributed! In addition to raising money for a great cause I hope it has illustrated that being a “currently incurable” Stage IV cancer patient may not match the picture of a Stage IV cancer patient in your mind’s eye. This may be true whether you have luckily not been touched by cancer yourself or perhaps more importantly if you are reading this as someone who has been recently diagnosed with metastatic cancer. As cancer treatments have progressed in recent years (and I believe will continue to do so at an ever faster pace in the future) – the image of a Stage IV cancer patient has & will inevitably change! 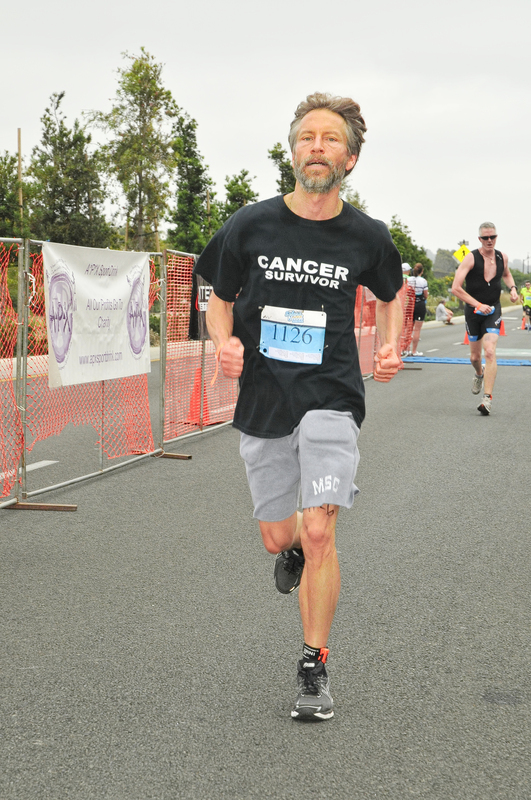 I often think to myself as I run down the road: I wonder how many people passing by me are thinking “that guy looks pretty healthy for having Stage IV cancer!” The same answer always comes back to me: Zero. Not a single person driving by has any idea I have Stage IV cancer. Or that I have been metastatic for years. I am friends with many fellow Stage IV patients & I know that this level of overall health is not true for all of them. Personally knowing so many fellow patients, many in need, is why I am now such a strong patient advocate. I think it would be impossible for me not to be an advocate after witnessing the stories I daily witness; impossible after meeting the people I daily meet. The point is that this changing image of Stage IV cancer is true for many more patients than you probably realize! An interesting thought to consider as you drive down the road yourself and see strangers out of the corner of your eye. Thankfully, in recent years metastatic cancer has begun to transform from its historical identity as an automatically acute disease with dismal short-term prognosis to now more often a “managed” (albeit with side effects) semi-chronic condition. Of course, the continued strived for goals of this steady improvement in treatment options are true Cures! I am currently running 10k (6.2 miles) twice a week & continuing to take pledges – 3 in the past few days alone. It’s not too late to join! If you wish, you can pledge only the second half of the runathon’s mileage – simply shoot me an email or put in the comments below how many $ (or ₵) per mile you wish to pledge to support a great cause!